What do giant squids, a possibly cursed diamond, dinosaur bones, and a man made of soap all have in common? These are some of the amazing artifacts at the Smithsonian's National Museum of Natural History. Take a tour through the museum's collections. 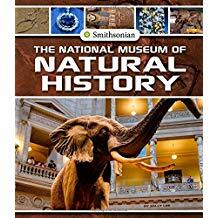 Engaging text, graphs, maps, and colorful images help readers discover the stories behind some of these treasured pieces of natural history.